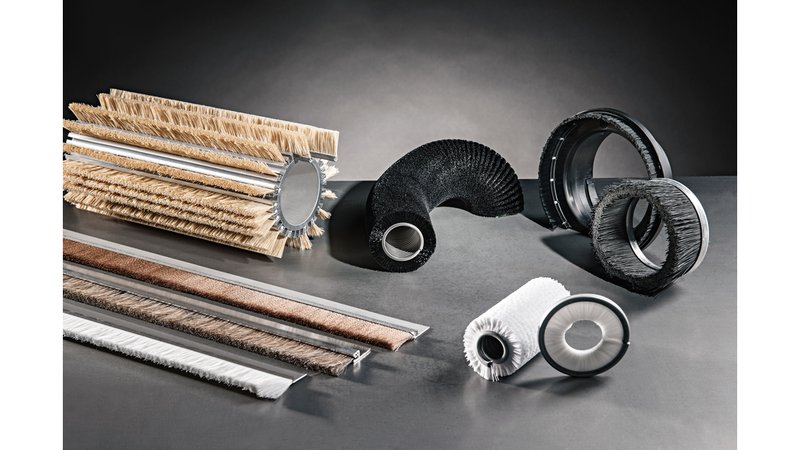 No other brush type is as versatile as Kullen-Koti strip and sealing brushes. Our brushes have the characteristic of adapting flexibly to a surface and keeping it completely sealed. In the past, the brushes had to be moved. Today, rigidly mounted brushes keep moving parts clean conveniently and in a straightforward manner, such as threaded spindles. The adaptability of the bristles compensates for any surface irregularities or height differences. At the same time, it is also possible to achieve the opposite effect with these brushes. With hard, resistant bristles, an aggressive brushing effect can be achieved.